Looking for great ideas on how to spend that special day with your Daddy, Papa or Tatay? Celebrating Father’s Day is a lot easier with the MVP Rewards program, which lets you enjoy exclusive deals and discounts on shops and restaurants just by presenting your MVP Rewards physical or virtual card powered by PayMaya. By signing up for free at www.MVPRewards.ph, you get to earn and accumulate points every time you pay your PLDT Home, Smart and Sun bills in full and on time, or load up your prepaid accounts on Smart, TNT, and Sun. MVP Rewards points are good as cash, do not expire, and can be used for purchases in physical stores or online shops where Visa or MasterCard are accepted. 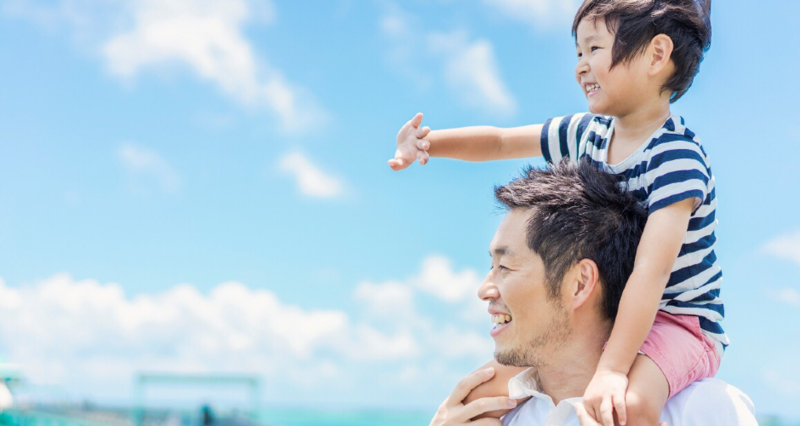 Whether it’s getting a memorable gift, dining with the whole family, or going on an adventure trip, MVP Rewards has got you covered with certified and dad-approved ideas. Make your father feel like the man of the hour by upgrading his accessories. Just by presenting your MVP Rewards physical or virtual card, Tumi gives you 15% off for a minimum purchase of P25,000 from June 15 to 17. Avoiding the crowd and the long lines during Father’s Day? Go online at Zalora instead and enjoy 20% discount with a minimum purchase of P1,500 from June 11-17. Simply log in to your MVP Rewards account to access your special Zalora promo code. And just in case you miss it, don’t fret because all members enjoy 18% off with a minimum purchase of P1,500 until end of the year. If by any chance your dad is planning to get a new Subaru Forrester, you can simply tag along and present your MVP Rewards card to get him a free Apple Watch plus Php10,000 worth of vouchers for accessories! This offer is valid at Subaru Cebu and Cagayan de Oro until June 30, 2018. Drive up to Tagaytay to enjoy the view and the food in Balay Dako. For a minimum spend of P3,000, MVP Rewards members get two free orders of their signature halo-halo worth P500. You can also bring your dad to District 8 where you can get 50% off if you spend a minimum of P2,000 on the total bill from their ala carte menu from June 15 to June 17. You can also avail of one free meal when dining as a group of five at GEN Korean BBQ House, or purchase three gift certificates worth one thousand each for the price of two. You can also relive your carefree childhood days with the rest of the family at Enchanted Kingdom. Members get 15% off on day-pass tickets for a minimum of four and a maximum of 10 adults. Feel like traveling and exploring local cultures with your dad? Book a trip via e-commerce travel platform KKday and get 20% off the bill until November 30, 2018. If ‘stay-cations’ are more his type, your MVP Rewards lets you enjoy discounts on select accommodations at Booking.com accommodations here and abroad, as well as deals for stays at The Plaza Hotel in Bataan, Eskaya Beach Resort in Bohol, and Montebello Villa Hotel in Cebu. Aside from enjoying all these discounts, your PayMaya-powered MVP Rewards card gives you the convenience of using your points to pay at physical establishments or online shops where Visa and MasterCard are accepted. Not enough points yet? You can easily add money into your PayMaya-powered MVP Rewards card at over 20,000 touchpoints nationwide, including Smart Padala centers, SM Business Services, Robinsons Business Centers inside Robinsons Department Stores, 7-Eleven Outlets, Touchpay Kiosks, UnionBank ATMs, Shopwise, Wellcome, 2Go, ExpressPay, Cebuana Lhuillier, Palawan Pawnshop branches, BDO, UnionBank Online, RCBC Online Banking, and financial institutions that are part of InstaPay, among many others. To know more about these exciting offers and other year-round MVP Rewards deals, visit www.MVPRewards.ph and follow its official Facebook account at www.facebook.com/MVPrewards. Next Article MayWard-inspired fanfic “Lost Souls” now available!